Kick up your heels in support of children! 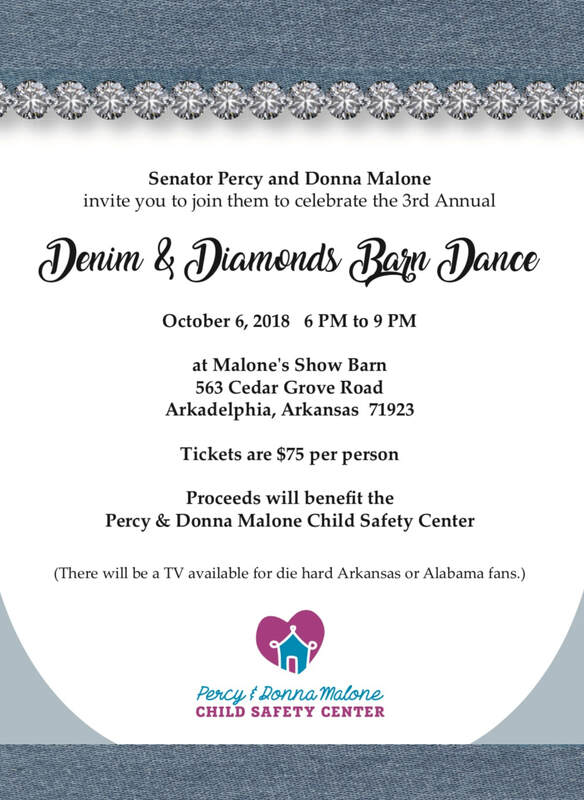 The Percy and Donna Malone Child Safety Center will host its annual Denim and Diamonds Barn Dance to raise money to provide healing for children who experience child abuse and neglect. The signature fundraiser is an opportunity for the community to support a great cause while enjoying a laid back evening. Individual tickets are $75 per person, with event sponsorships available as well. Don your favorite denim and diamonds and join us for live music, food, drinks, a live auction, and more! Measuring 19.5'' H x 60'' L x 42'' W and weighing 145 lbs, this designer reproduction coffee table features a stunning iron base with intricately detailed gold leaf medallion center seen through a glass top. Enjoy the wonder of Disney with your family courtesy of this vacation package. Arrange your own vacation details - including lodging, meals, and park entry - courtesy of a $4,000 Disney Gift Card, $500 Southwest Airlines gift certificate, and 4 one-way flight passes. Commemorate man's best friend with a custom 11"X14" unframed portrait by watercolorist Donna Twyford. The artist will work from a provided photo or arrange to take working photographs to complete the watercolor. This vibrant 16"X20" oil painting on canvas by artist V.L. Cox features a pair of fowl. Arkansan V.L. Cox is the artist behind the Images of The American South series and the End Hate Project and has received numerous awards and honors for her contributions. A four-part series in March 2019 for couples at any stage in their relationship who are motivated to make their relationship stronger, happier and healthier. for helping children on their path to healing!